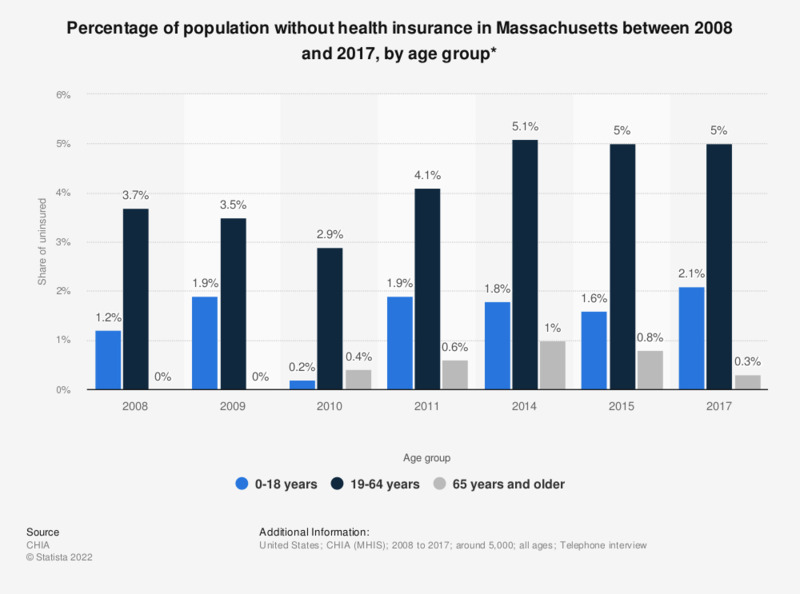 This statistic depicts the percentage of health uninsured people in Massachusetts between 2008 and 2017, sorted by age group. As of 2014, the percentage of people without health insurance among the 0-18 year-olds was 1.8 percent. * Due to a change in survey design for the MHIS in 2014, estimates for 2014 and beyond are not directly comparable to estimates from 2008-2011. The MHIS was not conducted in 2012, 2013 and 2016.